Falling fast was ok. It was a quick easy read, and if I hadn't read any of her other books I would have enjoyed it more. Unfortunately I felt it lacked originality. The overall plot of this book was basically a combination of her Until series, just with different characters and scene. I also felt like it was rushed to the end, with one of the biggest parts of the story left unfinished. 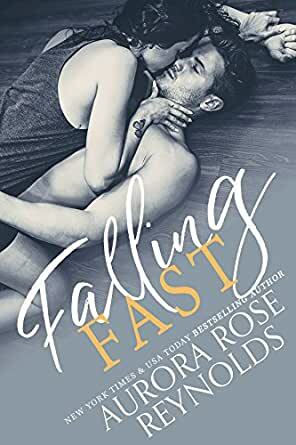 I love all of Aurora Rose Reynolds books, but unfortunately this one just didn't do it for me. Quite a disappointing read from this author. I never felt any emotion like I have in her other books, and I have read them all. Until Lily, I read for the fourth time recently and still had tears, but this book, although a good read was not an amazing read, like what I expected from the author. I really enjoyed this. Out of all the books Aurora Rose Reynolds has released this year this is definitely my favorite. Recommend if you are looking for a low angst read with a sweet heroine and protective alpha. I needed an easy read after a bunch of really Angsty ones and Colton and Gia gave me that. It's a fun, sweet ARR story that I enjoyed. If you like sweet small town romances then this one's for you. Similar to the until series, anyone who likes that one will also enjoy Falling Fast. I loved it. Was just what I was looking for, had everything I love in a book. Gia and Colton were so cute together, a perfect couple. I can’t wait for Tides book! 4.0 out of 5 starsA sweet story! 3.5 stars. A cute and sweet story. It was pretty predictable but still delivered on the feels.